Babies and children are undeniably messy. Whether it’s poo, sick, wee, food or goodness knows what else, a large portion of your day as a Mum will be spent cleaning up your kids. When I had my first child, I went through literally thousands of disposable baby wipes. But how effective are they at cleaning up your little darlings? How much will you spend on them over the years? And how many wet wipes will your family contribute to landfill? Is there another way? There is. The answer is cloth baby wipes. 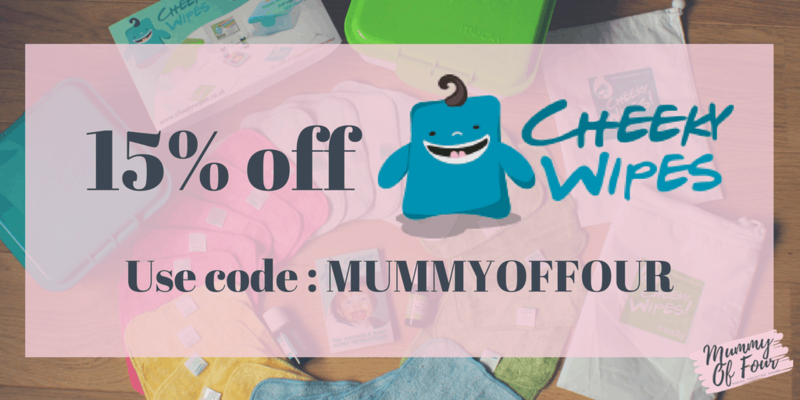 Today I will be telling you why cloth baby wipes are amazing, whether you are using cloth nappies or not. Take a look at the video, for all of the information, or scroll down and read on for all of the reasons why I wouldn’t be without them. Personally, I find cloth wipes far more effective at cleanups at both change time and meal times than disposable wipes. Each wipe is like a mini bed bath, plus they are far more gentle on sensitive skin, and kinder to your bank balance too. Think of the amount of landfill that each baby contributes too. How many baby wipes do use in a day? How many thousands is that over the years? 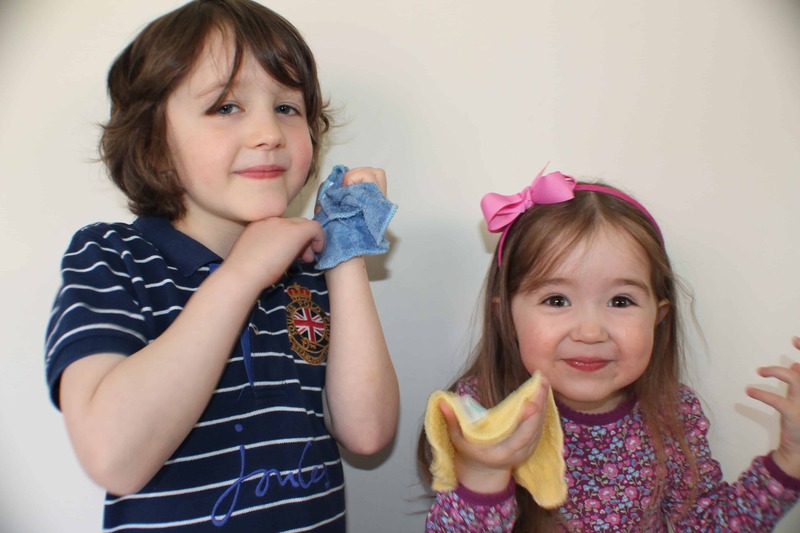 Using cloth wipes, even if you don’t use cloth nappies, can help to massively reduce your baby’s carbon footprint. By investing in some cloth wipes, you will save loads of money over the course of your baby’s life that you would have spent on wet wipes. The more children you have, the better value they become. I remember those days before I discovered cloth wipes, where I would come close to my last pack of wet wipes and reach panic mode. Now, I can simply pop mine in the washing machine and we have a constant supply. My older children still use wipes for sticky hands and faces, plus they are great for taking off makeup. So The Next Question Is………. Which Wipes Should You Buy? 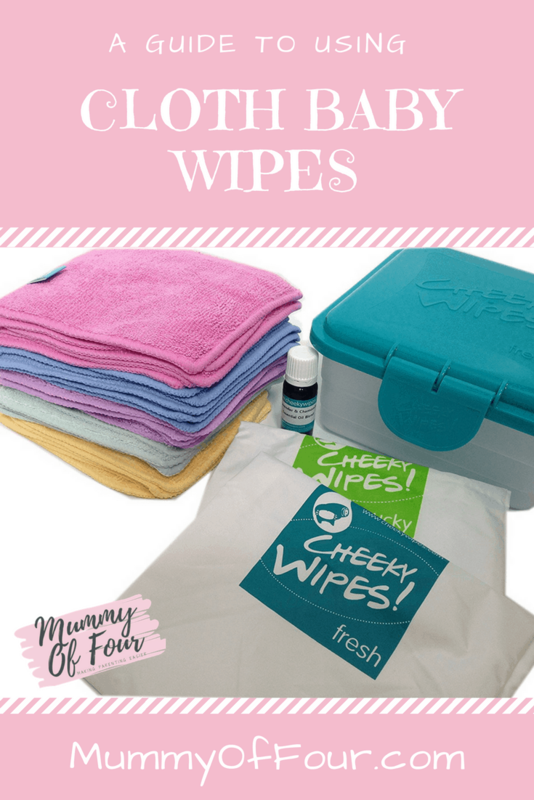 I use the cloth wipes from Cheeky Wipes* and wouldn’t just love them. 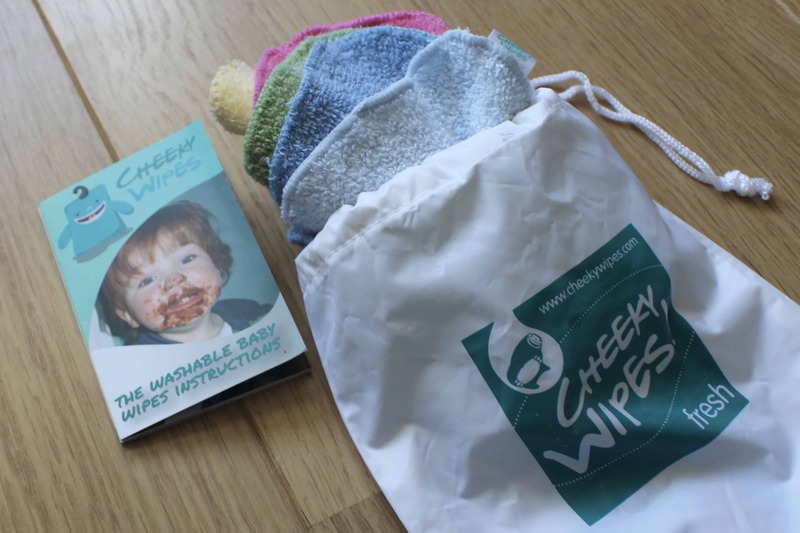 As I mentioned in the video, I have 2 types of wipes from Cheeky Wipes, the bamboo velour (a natural fabric) and the bamboo velour and minkee wipes (part natural part synthetic). The bamboo wipes are more absorbent than the minkee wipes, but I find that the minkee wipes stay softer for longer after being constantly washed. This part is totally optional, but I would recommend either buying coloured wipes, or doing what I did and dying them with Dylon machine dye. Dying your wipes means that they stay a nice vibrant colour even after constant washing. 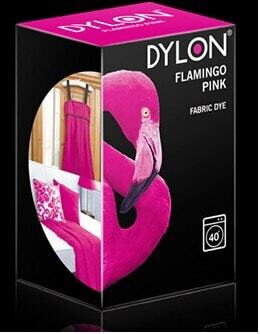 Keep in mind that the dye will only “take” to the natural fabrics, like bamboo. The synthetic minkee will not change colour. In the house, we store our wipes in a Cheeky Wipes box. Quite simply, you fill the box with water up to the internal line, add a few drops of essential oil (lavender works well), then leave the wipes in the box to soak. Alternatively, the wipes can be stored dry and wet as you need them. You can take a few pre-soaked wipes out with you in a small wet bag (which can be purchased here). This is the easiest option for change time, but damp wipes will go a little musty if left in your bag for a number of days. The other option is to take out some dry wipes and damp them as you need them. This can be done by either finding a sink where ever you go or, the option I favour, you can take some “wipe solution” (water and a few drops of you’re selected scent) in a small spray bottle. 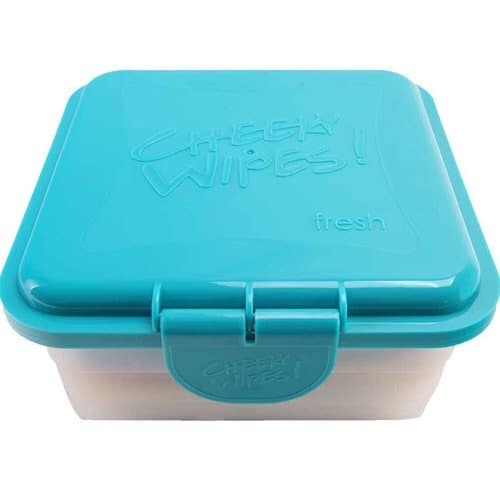 This system is the best way to store wipes for any length of time in your changing bag or car, but it is a little more fiddly at change times. If you are also using cloth nappies, you can store and wash your dirty wipes along with your nappies. 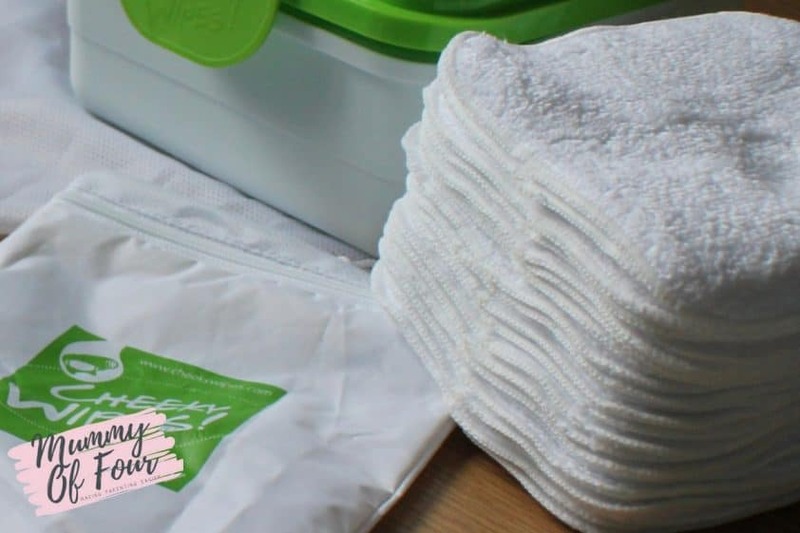 If you are just using cloth wipes for meal times, they can be stored in a wet bag (which can be purchased from the Cheeky Wipes website), then washed along with your household laundry. So that’s how to use cloth baby wipes! They are simple, yet effective, better for your purse and the environment, plus gentle on baby’s sensitive skin. They are a fantastic investment and can be used for things like makeup removal long after your baby is out of nappies. Do you have any questions about reusable wipes or nappies? Please comment below and I will try to answer them in subsequent posts.